For the past few weeks, I had the honor to meet a lot of renown rabbit breeders from the US and I would like to write this post for a very special person. I met Teri Reymann from Sonshine Rabbitry not too long ago and I must say that she is one of the nicest people I have ever met on the internet. It is so amazing how we can put aside our differences in this cyberworld and come togther virtually for many great things like exchanging knowledge, sharing experiences to name but a few. What caught my attention at first was of course Teri’s Holland Lops. But I must say that she has got killer Netherland Dwarfs in her barn. What I like most about Teri is her willingness to share unconditionally. Whatever question that you may have, she is always there to give you a hand. We share something in common the both of us, the DISLIKES for UNETHICAL BREEDERS. We even share some common names of unethical breeders on our “blacklists” too. Teri works with many rabbits from various top rabbitries in US. And if you find anything that you like, I am sure she could work something out for you. Everyday I thank God for bringing nice people into my life and I thank Him for crossing our paths, Teri & I. It does not hurt one bit to talk about nice people that truly deserve a mention. So from time to time, watch out for the new Category called Friends Of Tru-Luv. These are the people you ought to know in the Rabbit World. But that doesn’t mean you should not approach those not mentioned here. 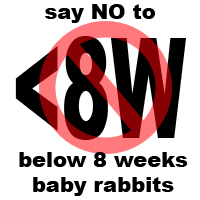 Most rabbit breeders are nice people. Some you will know their true colors only after you deal with them but that’s for a mention another time. We all should think about rabbit people as very genuine people because they have a heart to love a lesser creature but just becareful when you deal and always deal based on references (Laurie did mention this and I was not smart enough to understand). 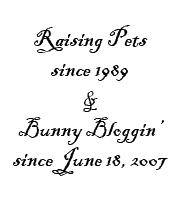 There you go, another GOOD rabbitry owner to put into your research collection that is Teri Reymann of Sonshine Rabbitry! I totally agree-Teri has some gorgeous rabbits! I’m so glad you found a GOOD breeder that is honest and takes the time to teach. Cheers to breeders like her! OMG… look at Teri’s HL… I’m dying already.. write on the stone.. I’m HL true love..